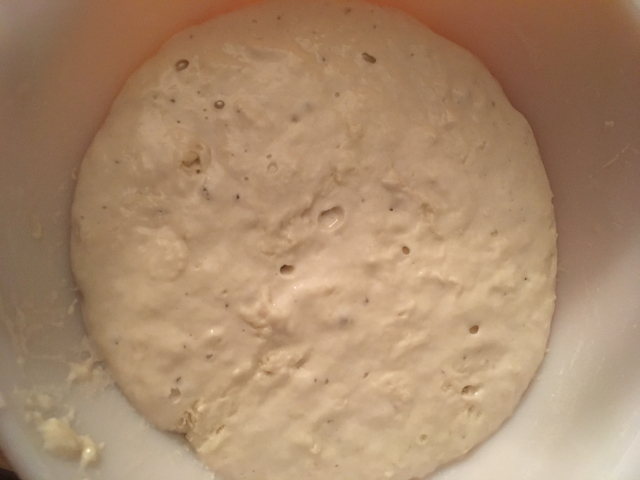 It's not a dog or cat or gerbil or even a tarantula, but I'm happy to introduce the world to R, my sourdough starter. R was a gift from my friend Rob, in whose shadow as a bread baker I humbly stand. He makes his own baguettes, even. I mentioned to him a couple of weeks ago that I was thinking of starting my own sourdough starter and he was like, "really, dude, it's not worth it, just take some of mine." And without further ado, R was, well, I was going to say "born" but that's not exactly accurate. Decanted. Here is R in its resting state, safely ensconced in its jar. And here's R tucked away in my fridge, where it'll be spending most of its time. And here's the product of my and R's collaboration. Cook's Illustrated's no-knead sourdough recipe from issue 142 is what planted this whole idea in my head. 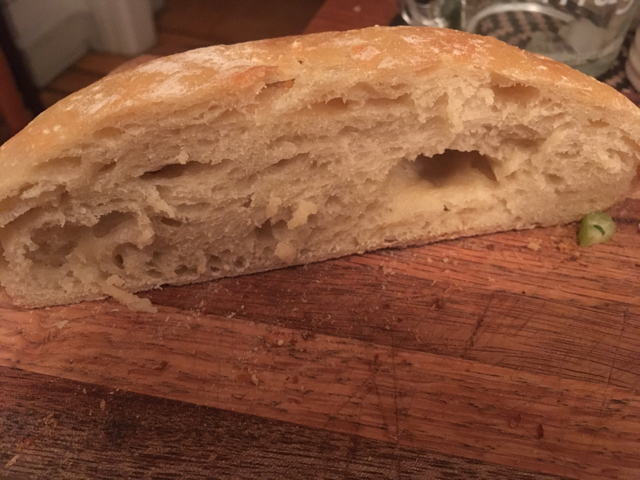 It was an almost 40 hour process to make this loaf (albeit, most of it waiting around while R did its thing and gluten formed and such). I made a project plan spreadsheet and everything. And check out the inside. The crumb needs a little work -- I think maybe some (more) kneading is in order? 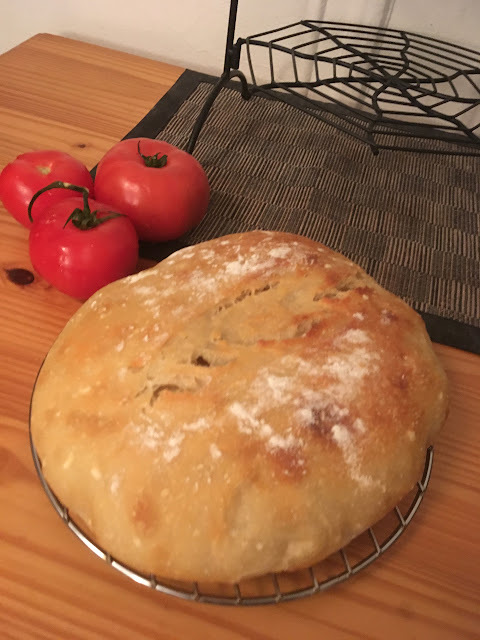 But I was really happy with the flavor, not too sour, but definitely tangy, and amazing that thanks to R the only store-bought ingredients I need to make a loaf of bread are flour and a little salt. Made some superb BLTs. I'm finding I like having a companion. Even if R doesn't know me or come when I call, I still have to feed it and keep it perky. And how many pets can you eat a chunk of from time to time? I will close by mentioning that R is partly named after Rob (duh) but it's mostly named after R, the undead hero of my favorite zombie romantic comedy (or "zom-rom-com" -- I didn't make that up), Isaac Marion's beautiful Warm Bodies. Seemed somehow fitting for a jar filled with wild yeast and who knows what bacteria.